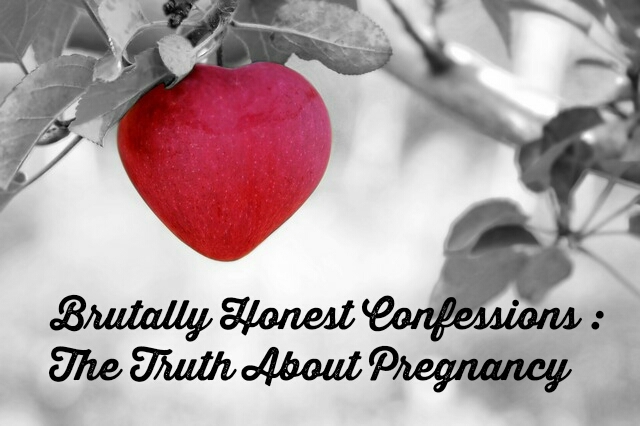 Today’s post is the Truth About Pregnancy. In my last Truth About post I discussed what conception was like from my perspective and now I will take it to the next stage, pregnancy. For many women pregnancy is wonderous, it makes them glow and they love every single second of it. For others like me it is horrendous, with one problem after another from very early on. I have always been able to tell I am pregnant within the first few weeks, mostly because from around 4 weeks gone I am horrendously ill. I don’t know why they refer to it as morning sickness because it usually occurs morning, noon and night. With my first born I was so ill I spent most of the first 7 months in and out of hospital on a drip because I couldn’t eat or drink a thing. I remember just sleeping the days away hoping it would end. Every little smell set me off been violently ill, some smells I still cannot be around or it invokes that nauseous feeling again. I dreaded following pregnancies for this exact reason. With my 2nd child morning sickness only lasted around 4 months and it was 6 months with my last child, luckily I didn’t need to be hospitalised for it much with the last two. Even when the sickness starts to wear off things didn’t get much better. Then comes the awful heartburn that just will not let up despite drinking pints of antacid, then there is the spd…Oh spd is great. I mean having your partner having to dress you be cause you’re in agony is so dignified. You’re massive, can’t see your feet, wearing a brace to keep your pelvis in place and need to walk with a crutch. Marvellous! Don’t get me wrong, being pregnant is amazing. Afterall you are growing another human, it is bound to effect you in so many ways. I just wish that people would be more open about the issues thar can come with it. The sickness, the spd, the constant thrush, the piles, having a cold and not been able to even have a lemsip. Too many times I see pregnancy glossed over, talk of wonderful hair, glowing skin, no weight gain except a tiny perfect bump. The realities for most of us are very different. I love my children with all my heart and I have struggled to give them life, not just with the pain of labour but the pain of pregnancy. I’ve earned that spot in their home when I’m old and decrepit! Thank you for reading another BHC and please get in touch at BH_Confessions@yahoo.com if you’d like to discuss any topics.